There is nothing better about a cloudy, dreary, rainy spring day than a brand-new pair of slick, sleek rain boots. However, when one has thicker calves sometimes squishing them into a pair of standard-sized rain boots can be uncomfortable, to say the least. Top picks: For women with wide calves, our rain boot recommendation is Rugged Outback Women’s Tsunami Rainboot. And for men the Bog Men’s Solid Rain Boots. That too-tight feeling can ruin the look of an otherwise perfectly nice pair of new rain boots. It can make splashing in the springtime puddles an uncomfortable experience rather than a fun pass time. However, to those of us with wider-than-average calves, do not fear. Many people have had the same problems we have. The great news is that people have designed rain boots just for people who need a bit of extra space in the calf region. So, you can enjoy a shiny new pair of rain boots and still have the comfort of a boot that fits properly all the way up to the top! 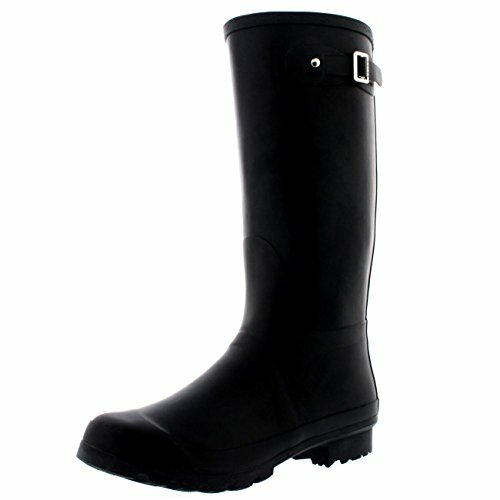 For women with wide calves, one of the best choices on the market is the Rugged Outback Women’s Tsunami Rainboot. These are moderately priced and it is not surprising that they are also well reviewed. These boots are available in both black and maroon colors. They are made of synthetic rubber and are completely waterproof. The feature that makes them ideal for wider calves is the extra room up top. There is a buckle at the top but it is for show and not actually adjustable. 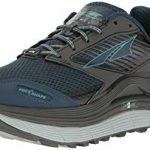 The inside is made of a jersey lining and the padded insole provides additional comfort. Traction from a rugged sole to the shoe assures you won’t slip. The boot is made from man-made materials. For men with wide calves, one of the best choices on the market is the Bog Men’s Solid Rain Boots. These are in the upper “average” price range for a pair of rain boots. These boots are made of rubber and are classified as imported materials. The shaft measure about 12.75” from the arch and the boot opening measures about 16” around. These boots are waterproof and featured a logo-embossed top-line and easy-on hand holds to help get the boots on and off easily. Max-wick lining helps keep the feet from becoming sweaty and there is a removable insole for additional comfort if desired. These boots tend to run about a ½ size big due to the boot’s wide nature. These boots have an EVA foot bed with Durafresh technology inserted to help fight odor. These boots possess a non-marking, anti-slip sole and they are wider than average to provide the calf that additional room inside for added comfort. 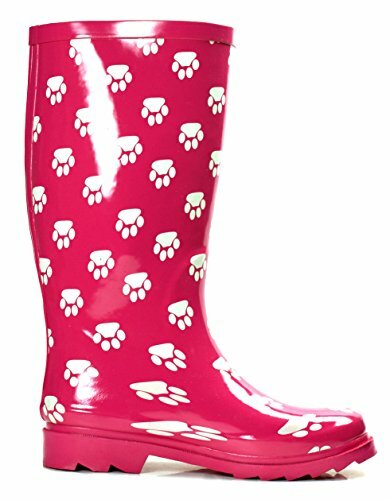 A colorful pair of boots that women with wide calves will find the OwnShoe Women’s Multiple Styles Rain Snow Winter Flat Rubber Mid-Calf Short Rainboots which are available on Amazon.com and at retailers nationwide for a quite a low, reasonable price. Available in a wide variety of colors these boots provide a pop of color for every taste and can be bought in black, blue, red, pink, yellow, and forest green. They are made of rubber and imported materials and also have a rubber sole. The heels measure approximately 1” and the shaft measures up to 10” from the arch to the top of the boot. The calf circumference is 14”. These boots are also made with a comfort foot bed to make the boots more comfortable to wear. 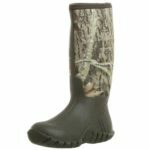 A pair of boots for men that can add some color to your wardrobe while still providing room for wider calves are the Woodland Unisex Quality Strap Wide Fit Wellington Boots which are able to be purchased at an average price for a pair of shoes. These boots are available in either navy blue or forest green. 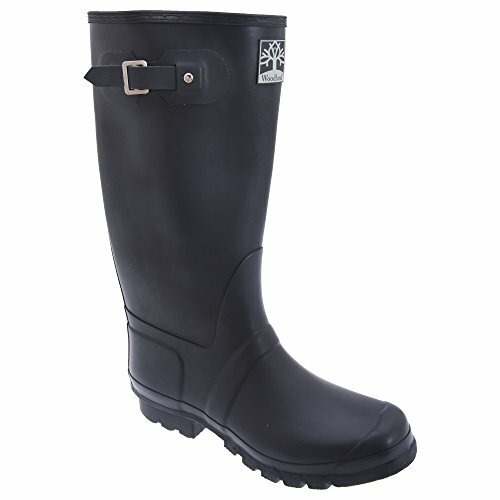 These are a quality strap unisex wellington boot. There is generous comfort room for a quality fit inside the boot. The boot is made of vulcanized rubber as is the sole providing a superior quality of construction to other boots. The shaft measures 14” inches up the leg and offers a 15” leg at the calf. 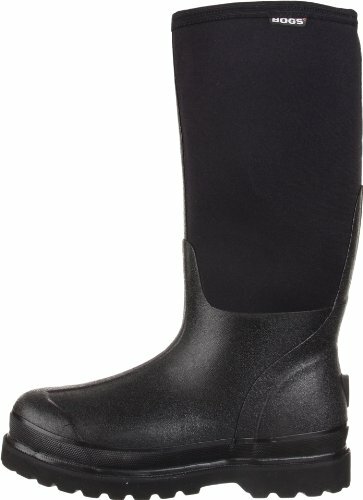 An elegant boot choice for women with wider calves would be the Silky Toes Elastic Slip On Short Rain Boot. Made from premium synthetic material, this boot boasts a beautiful subtle elegance and sophistication that makes it look like an expensive footwear choice. Suitable for spring or autumn weather these boots will provide suitable warmth and protection and are great for almost any occasion including work, parties, going out to dinner, shopping, etc. These boots can match anything from jeans to dresses and back again. These boots are unique in their elegant style with low, rubber heels and a dainty shaft of about 5″ from the heel. These boots may run up to a half size smaller so please see specific sizing chart on their website for exact measurement details to ensure you order the proper size. 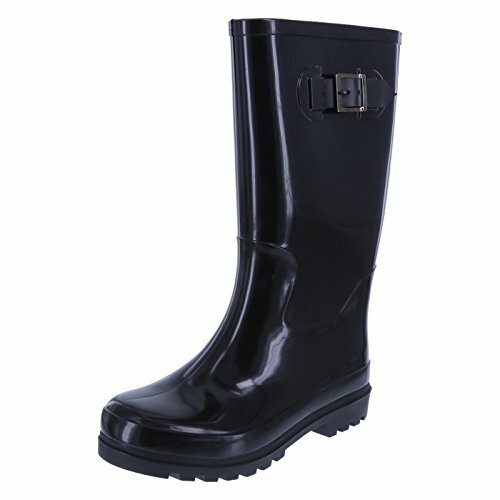 A great pair of elegant boots for men would be theMen’s Original Tall Plain Fishing Garden Rubber Waterproof Wellingtons. These boots are available on Amazon.com and at retailers nationwide for an average price that one can expect to pay a pair of shoes. These boots are available in both black or forest green colors. 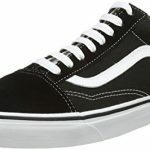 The price on these is about average what you would pay for a pair of shoes. These boots provide a rubber boot and sole. The shaft measures about 16” inches from the arch. The original tall plain boot has a matte finish is made of vulcanized rubber to make up the upper boot. These boots are waterproof in their construction and have a quick-dry textile lining. The calves are about 19” in circumference. 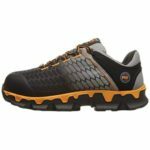 The top choices for those of us with wide calves are Rugged Outback Women’s Tsunami Rainboot for women and Bog Men’s Solid Rain Boots for men. But as you saw, there are many comfortable choices to wear during the rainy spring and fall seasons. Whether you’re going to sit in business meetings all day or are going out with friends or going to the grocery store there are boots out there to meet your needs.